Can bereaved parents use their dead son's sperm to have grandchildren against his widow's wishes? The Israeli Supreme Court on Monday denied an appeal filed by the parents of a fallen soldier to reopen the case regarding the future of frozen sperm samples which could allow their son to posthumously father a child and provide them with a grandchild. While the court’s decision drew bitter outcries from the soldier’s parents and their supporters, one prominent Israeli rabbi claims the ruling has the backing of Jewish law. Shaked Meiri was a 27-year old reserve soldier when he was killed in an army training accident in the Golan Heights in 2004. Meiri was a newlywed, married just three months before the fatal accident, and had no children with his wife, Shela. Immediately after the accident, Meiri’s widow accepted an offer by the IDF to extract sperm samples from Meiri and to preserve them for later use, though it is unclear whether they remained viable. Ownership of the 19 preserved samples became a point of contention between Meiri’s parents – Hadarat and Roni - and his widow. While Meiri’s widow has since remarried and had two children, the fallen soldier’s parents wished to use the samples to produce a grandchild with a surrogate mother. But Meiri’s widow refused to use them herself prior to getting remarried, and has since insisted that no one else make use of the samples. A 2015 ruling by Judge Miriam Kraus of the Petah Tikva Magistrate’s Court divided the 19 samples between Meiri’s widow and his parents, a decision which would have enabled his parents to produce grandchildren with the samples. Judge Kraus ruled that the wishes of the deceased should be considered in the case, and the strong probability that he would have wanted to father children was grounds for enabling him to do so, even if posthumously. In December 2016, however, the Supreme Court overruled the lower court’s decision, ruling that the parents may not use the sperm samples without the widow’s approval. According to the 4-1 split decision, parents have no standing to clarify what their deceased child’s wishes might be in a hypothetical situation, nor do potential grandparents have rights to grandchildren. On Monday, the Supreme Court rejected an appeal by the parents to reconsider the ruling, effectively closing the case. “The court has decided that I won’t have any grandchildren from my son, Shaked,” said Hadarat Meiri, Shaked’s mother. 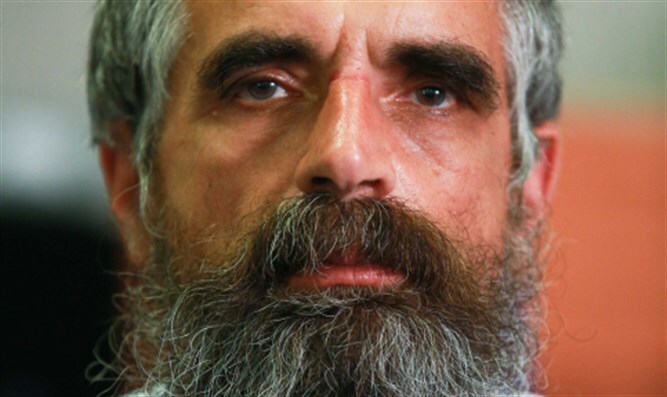 But Rabbi Yuval Cherlow, dean of the Amit Orot Shaul Hesder Yeshiva and founding member of the Tzohar rabbinical organization, says the court’s ruling was in accordance with Jewish law. Rabbi Cherlow explained the logic behind the preference for a widow’s opinion over that of a man’s bereaved parents.